Not a workhorse anymore! 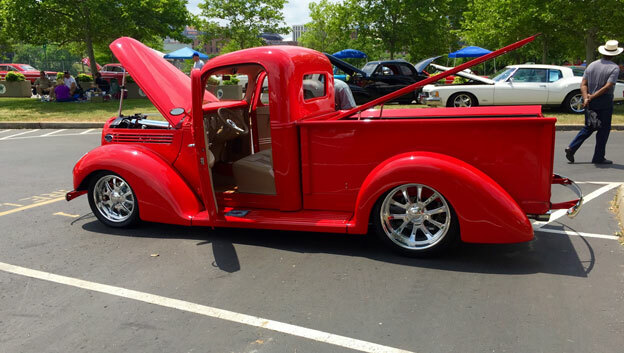 Super Rodz complete their '39 Ford truck and get it out for the first time rolling on 17 and 20 inch Venom wheels. Super nice 1969 Camaro Resto Mod! Gordon McGilton knows cars and appreciates quality. His super nice '69 Camaro in the foreground with Velocity wheels is just one of the cool cars in his fine collection. 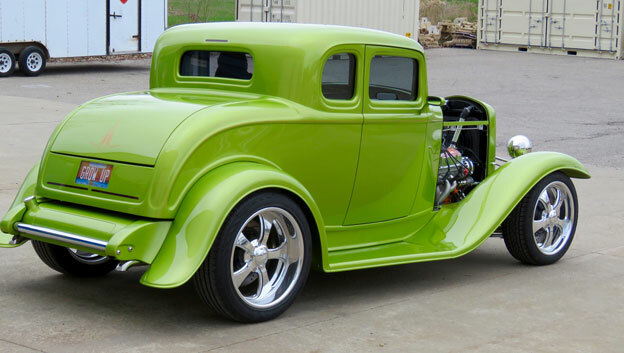 Street Rod with Americana wheels! Mr. Marmonstein is enjoying his Michigan summer with his recently completed '32 Ford 5 window by Pratt & Miller. 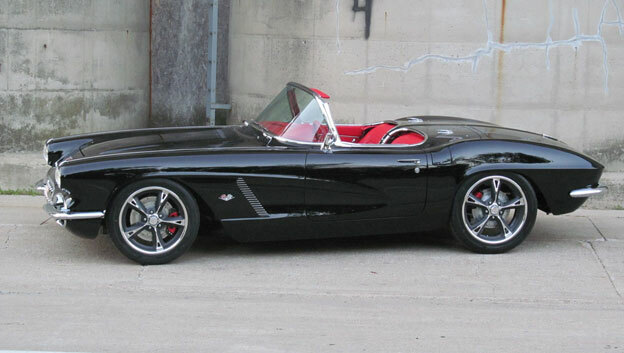 Little black '62 Corvette with Mach V custom wheels! Bruce Kuznicki's newly completed '62 Corvette is ready for the open road! Barrett-Jackson Cup Award 1st runner up! Gary Brown's awesome '57 Chevy PU built by Mike Goldman Customs is still stacking up awards!